Divine Daycare provides quality childcare for infants through school aged children. Theme based activities that foster the spiritual, social, intellectual, physical and emotional development are provided for each child. A typical day will include free play, learning activities, circle time, snack, stories, music time, group games, Bible lessons, art, lunch, rest time, outside play, and special themed activities. 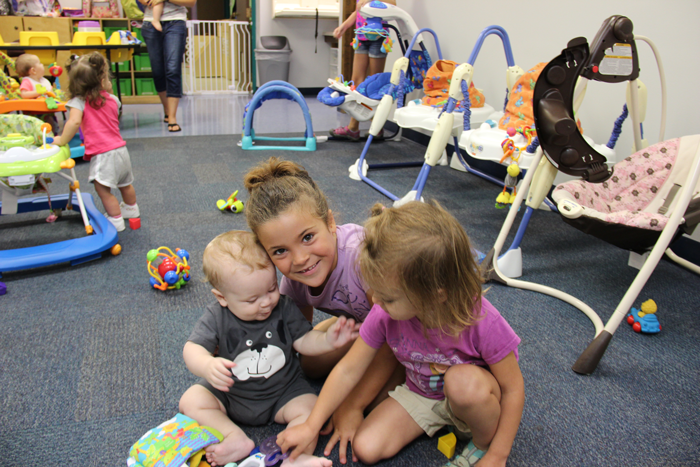 Our Mission~ To provide the highest quality childcare for infants, toddlers, preschoolers, and school-aged children. Labor Day Weekend, Thanksgiving Day, Friday after Thanksgiving, Christmas Eve, Christmas Day, New Year’s Eve and Day, Good Friday, Easter Monday, Memorial Day and 4th of July weekend.